Contraptions from the past can be fascinating, whether designed to save time or entertain. 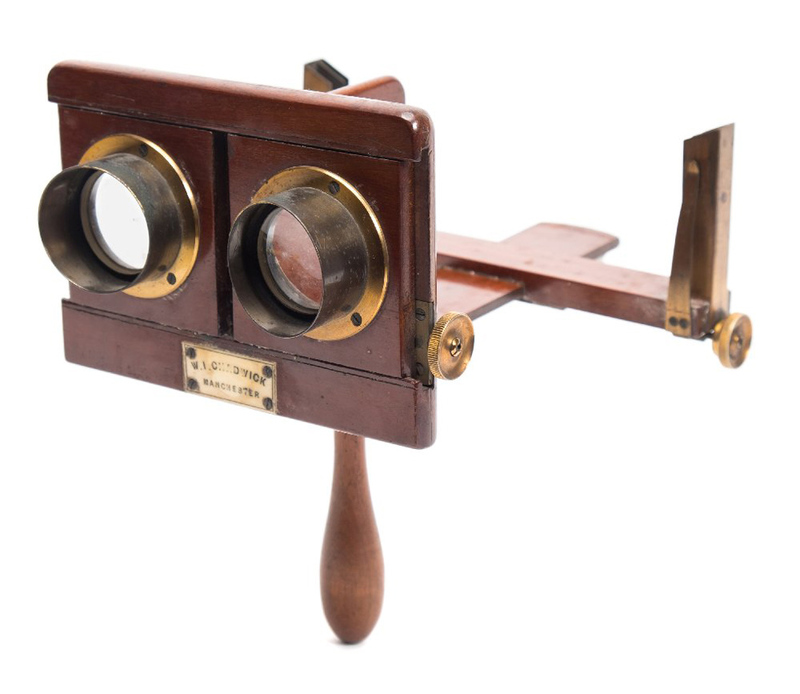 Bearnes Hampton & Littlewood offers this Kinora Viewer as part of the Philip Banham Collection of Optical Toys, Prints and Stereocopic on March 6 where it has an estimate of £500-700. 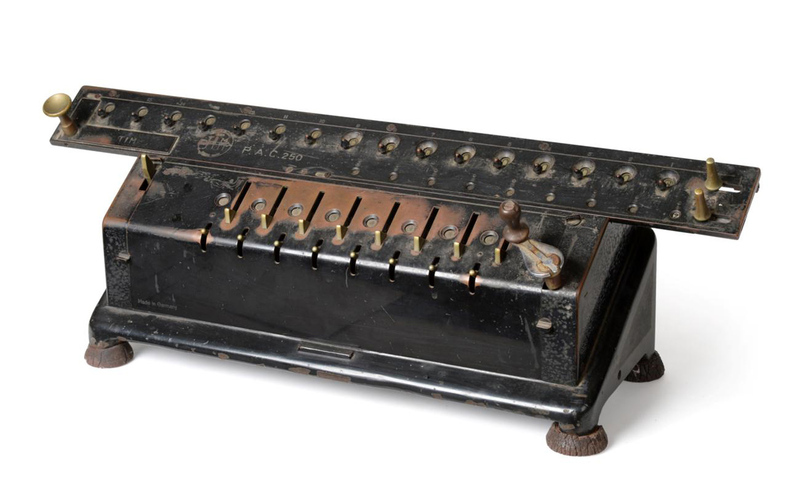 From a playful 20th century stamp licker to a ‘Time is Money’ calculating machine, here is a look at some of the fascinating gadgets, gizmos and mechanical devices going under the hammer in the next month or so. 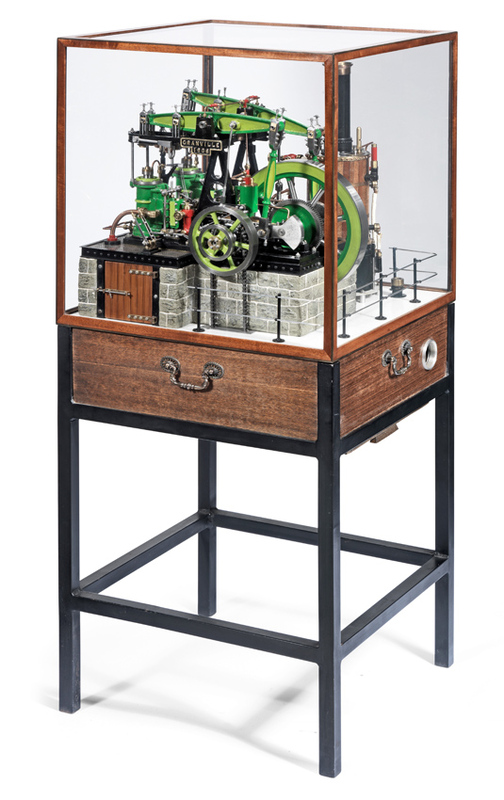 This exhibition-quality model of the Granville colliery beam pumping engine is offered at Bonhams’ Gentleman’s Library Sale of January 30 where it has an estimate of £5000-8000. This exhibition-quality model of the Granville colliery beam pumping engine, measuring 3ft 10in (1.17m) high, is offered at Bohnam’s Gentleman’s Library Sale in London on January 30. It features a mahogany lagged vertical steam boiler with pressure gauge, a whistle, safety valve and brass chimney cap as well as brass and copper fittings and pipe work. The model is now operated by a chine drive from an electric motor. It is contained in a brass-bound, mahogany-glazed display case stand with a fixed plate reading Granville 1908. It has an estimate of £5000-8000. 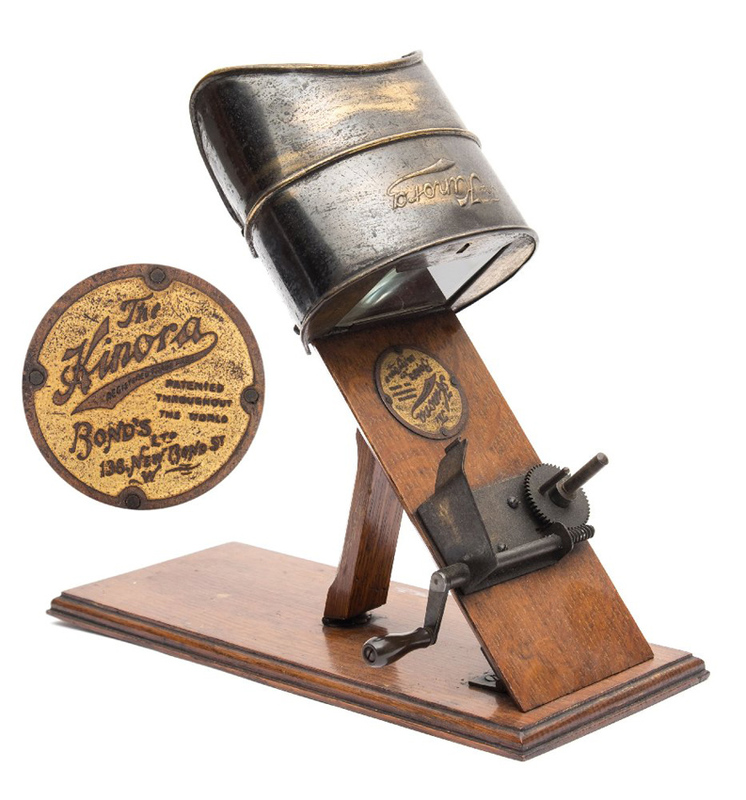 The Kinora Viewer was an early form of motion picture technology, invented by Lumière in France in 1897. It worked on the ‘flip book’ principal, with a reel of images attached to the toothed wheel at the bottom and turned with the hand crank. The revolving images flipped over against the static peg and the moving pictures were viewed through the eyepiece. 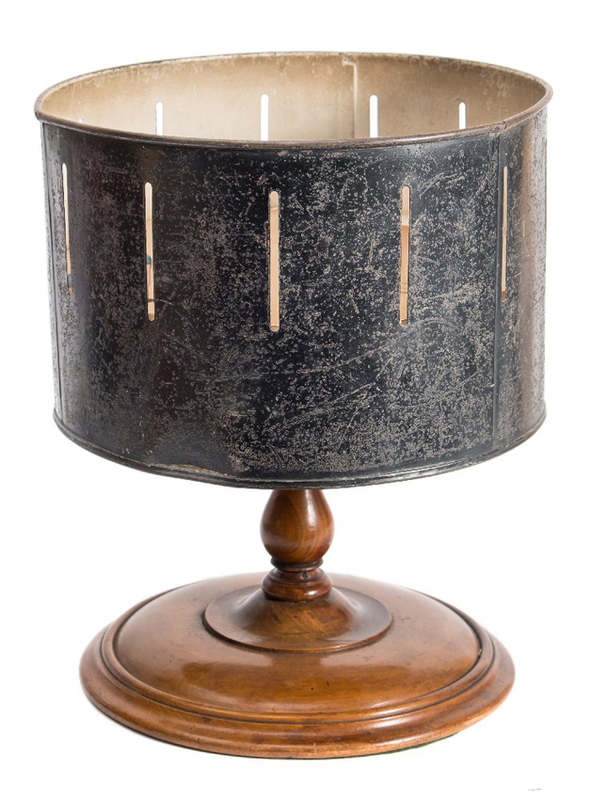 In 1898 the British Mutoscope & Biograph company purchased the rights to the Kinora and it appeared on the market in 1902 where it was bought for home entertainment. This model has a gilt lacquered viewer and oak plinth base with a maker’s plate to the frame. It is offered at Bearnes Hampton & Littlewood’s auction of March 6 where it has an estimate of £500-700. It is part of the Philip Banham Collection of Optical Toys, Prints and Stereocopic which also features a zoetrope, a zograscope and a few antique kaleidoscopes. Kinora reels are also available at the auction. This example of The Columbian Press is offered in John McInnis’ catalogue only auction, which runs until January 27. It has an estimate of $5000-10,000. The Columbian printing press was invented by George Clymer of Philadelphia in 1813. It used the counterweight principle, increasing the amount of pressure that could be applied to the printing forme without causing physical strain to the pressman. It is also the most highly decorated of iron handpresses, including the Eagle counterweight which was a reference to Clymer’s homeland. He left in 1818 for the UK. 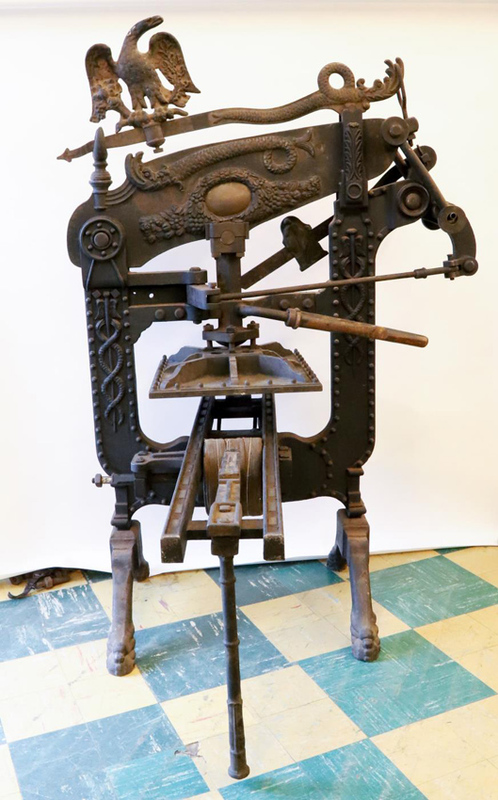 It is catalogued as ‘legendary’ by John McInnis Auctioneers of Masachusetts, US, which offers an example of the press in its four-day catalogue only sale, running until January 27. It has an estimate of $5000-10,000. In 1907 the German company Ludwig Spitz & Co started producing improved forms of the arithrometer which they sold as the TIM, which they said stood for “Time Is Money”. An example of the machine, the PAC250, goes under the hammer at Tennants Auctioneers in North Yorkshire on January 30 as part of its Scientific and Musical Instruments sale. Offered in working order, with some superficial wear, the machine has an estimate of £40-60. This 1950s oak cased penny-in-the-slot passion tester lights up to indicate users’ passion levels. It is offered at Canterbury Auction Galleries’ sale of February 5-6. The face of this 1950s penny-in-the-slot “Passion Tester” features 12 levels from ‘mild’ and ‘harmless’ to ‘hot stuff’ and ‘wild’, with lightbulbs to indicate each users’ degree of desire. 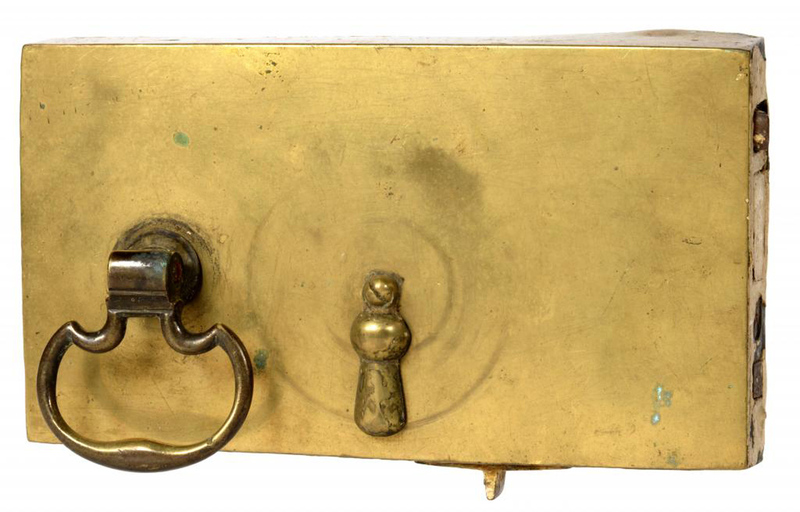 Supplied by Tableau & Automata Devices, it measures 2ft 10in (86cm) high with an oak case and chromium plated cresting and mounts. Canterbury Auction Galleries includes it in its auction of February 5-6 (just in time for Valentine’s Day) where it has an estimate of £300-500. A Victorian sheet-iron mechanical hearth bellows, powered by a turned-wood wheel, is among the best gadgets included in the Harold Ward Collection, which goes under the hammer at Mellors & Kirk in Nottingham from February 6-7. The huge collection includes many lots of porcelain and fine art but also includes a selection of mechanical items and curiosities. 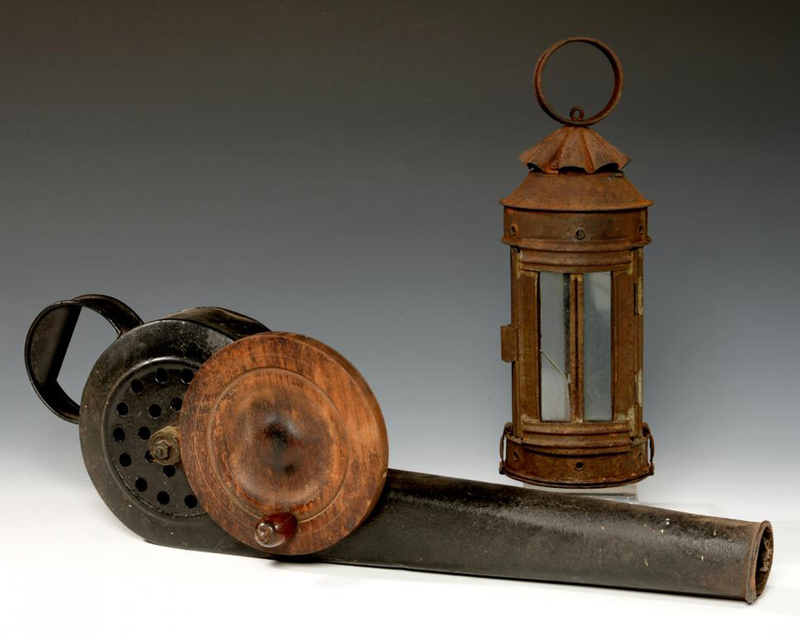 The bellows is offered with a tinplate hand lantern with an estimate of £50-70. Also on offer are a glass Victorian rolling pin, a Goerge III mahogany table-top spinning wheel and a brass door rim lock believed to have belonged to the Brontë sisters. This early 20th century stamp licker has an estimate of £100-150 at Hutchinson Scott’s auction, which runs until January 26. 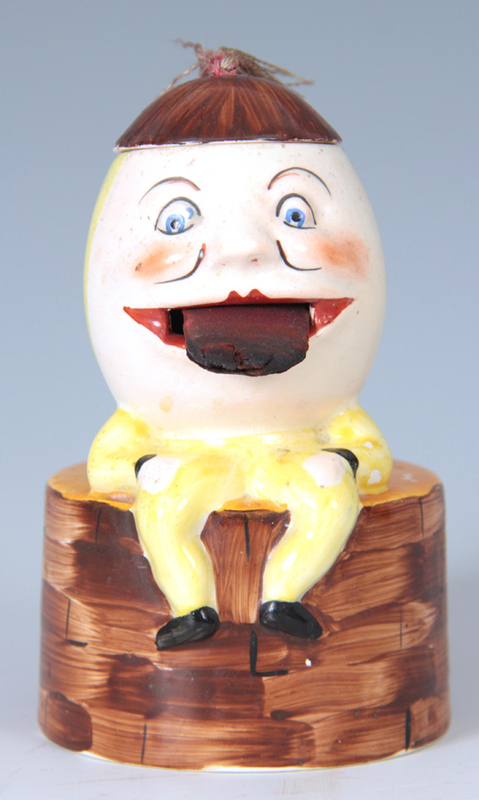 Hutchinson Scott includes this early 20th century porcelain novelty stamp licker in the form of Humpty Dumpty in its New Year Catalogue Sale, running until January 26. It features a mechanical pop-out tongue, measures 5in (13cm) high and has an estimate of £100-150.